Are you ready to take on the Compassion Challenge? 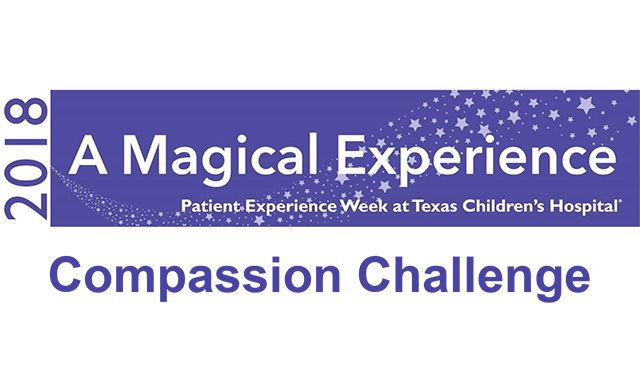 To celebrate Patient Experience Week beginning on Monday, April 23, Texas Children’s will launch the Compassion Challenge to engage staff around the hospital’s core values. Each day during Patient Experience Week, employees and staff across the organization will complete a challenge that focuses on the concepts of compassion, communication and connectedness. Whether it’s greeting 10 people within the first two hours of your shift or helping patients and visitors navigate their way through our hospital campuses and facilities, these simple acts of compassion go a long way to show just how much you care. Employees and staff who complete each challenge during Patient Experience Week will be entered into a contest for a chance to win two tickets to an upcoming Houston Dynamos game. Click here to view the details of each challenge and for more information on how to participate in the Compassion Challenge. 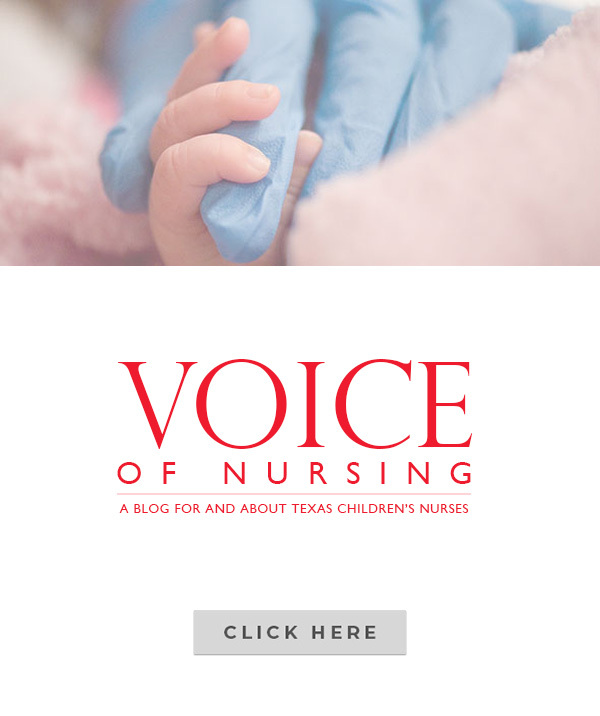 The theme for Patient Experience Week is “A Magical Experience,” which is fitting following last month’s exciting announcement of Texas Children’s partnership with the Walt Disney Company on patient experience initiatives. 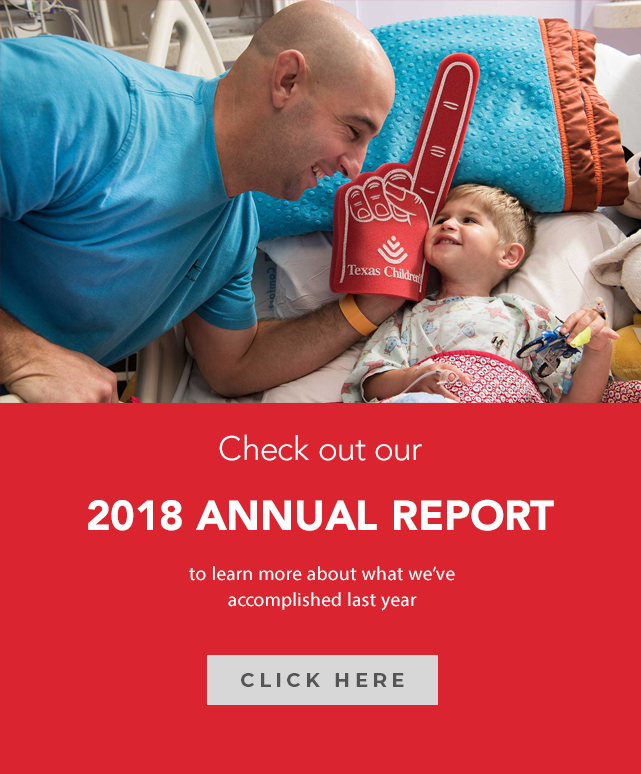 This year’s theme describes what a patient’s stay should feel like at Texas Children’s. Every day our employees and staff work together to ensure our patients and families have the best experience possible every time they see us. From April 23 to April 27, the Patient Experience team will kick off an exciting week filled with magic-themed activities, interactive events and educational opportunities at Texas Children’s Hospital Medical Center Campus, Texas Children’s Hospital West Campus and Texas Children’s Hospital Woodlands Campus. Several events planned include Caught You Caring Awards ceremonies at all three campuses to recognize our 2018 recipients who have gone above and beyond to show compassion to our patients, families and co-workers. Local business owner and community leader Jim McIngvale, also known as Mattress Mack, will speak about the importance of serving others and how he builds his business on these core values. 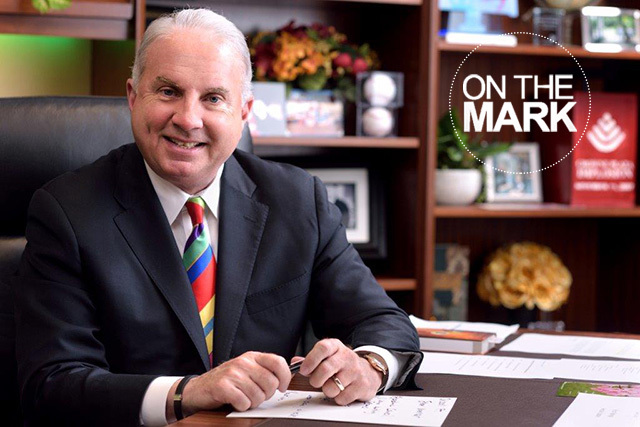 Walt Disney once said “You can dream, create, design the most wonderful place in the world, but it requires people to make the dream a reality.” Kelly Fuhlman from the Disney Institute shares the magic behind the customer experience created at Disney parks and resort locations throughout the world. If you can’t attend the speaker series at the Medical Center Campus, video streaming will be available to other locations. Come out and celebrate the hard work that each of us does every day to make the patient experience an exceptional one at Texas Children’s. There will be fun activities for patients and families as well including music, a photo booth, a magician, Disney characters, games and activities. Click here to view the speaker series flyer. Join us during Patient Experience Week as we learn about the importance of serving others from community leader and supporter Mattress Mack. When: 3 p.m. to 4 p.m. When: 10 a.m. to 10:30 a.m. Patients and families are invited to join us for “A Magical Experience” at one of our patient and family celebrations during Patient Experience Week. There will be music, a photo booth, Disney characters, games and activities. Walt Disney once said, “You can dream, create, design the most wonderful place in the world, but it requires people to make the dream a reality.” Kelly Fuhlman from the Disney Institute shares the business behind the magic created at Disney parks and resort locations throughout the world. Patients and families are invited to join us for “A Magical Experience” at one of our patient and family celebrations during Patient Experience Week. There will be music, a photo booth, magician, Disney characters, games and activities. Patients and families are invited to join us for “A Magical Experience” at one of our patient and family celebrations during Patient Experience Week. There will be music, magician, Disney characters, games and activities. Chair massages will be available for patients at the Pavilion for Women clinics. The massage therapist will rotate through the clinics throughout the week. Tea cart will also provide tea, cookies and a succulent to inpatients at Pavilion for Women.